Two of three men accused of an ATM scam in Dangriga, today saw the charges withdrawn from them, but they remain in police custody to face immigration charges. As we told you on Wednesday, Peruvian national twenty-four-year-old Luis Miguel Marroquin was granted bail prior to the withdrawal of charges. He and Colombian national thirty-six-year-old Edgar Jhovany Vargas Vaca as well a third person were accused of using a skimmer at an ATM machine in an attempt to withdraw money from the bank in Dangriga. At the time, police said that they were being monitored since last November and were charged in early February for preparation of a crime. Today, a memo was sent to the court from the D.P.P.’s Office indicating that charges were to be withdrawn from the duo, but the men were taken back into custody at the Queen Street Police Station because the Immigration Department wants them expelled from the country. The third man charged is thirty-five-year-old Chilean national Juan Alfonso Espinosa SaaVerdra, who remains on remand at the Belize Central Prison because the D.P.P. believes that there is sufficient evidence against him to proceed to trial. 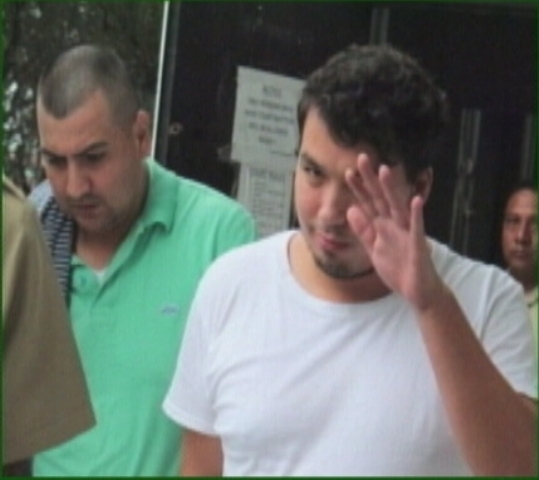 Espinosa’s next court date is set for sometime in May in the Dangriga Magistrate’s Court. Marroquin and Espinosa are represented by attorney Hurl Hamilton while Dickie Bradley represents Vargas.